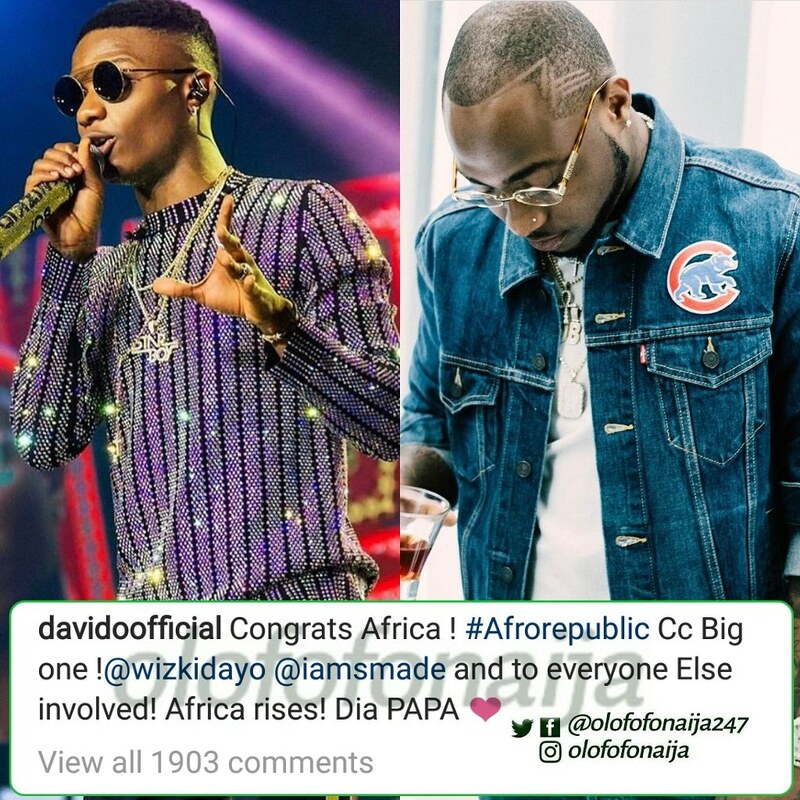 DMW CEO and Father of Two David Adeleke popularly known as davido took to his Instagram page to congratulate his Rival turned New Friend Wizkid on his achievement of being the first african to sell out the O2Arena in London. Nigeria’ very own Starboy, days ago sold out London 20,000 Capacity 02 Arena one week to the Afro Republik Indoor Festival. The singer made history being the first African-Based artist to sell out the prestigious 02 Arena. Tweeting about the soon to hold event, @Africafactshub said:- ‘Wizkid has become the first african based artist to sell out the world famous 20,000 capacity 02 arena in UK as the Headliner.